The Met Gala was Monday, May 1st and the jewelry trends on the red carpet this year proved to be truly artistic. From mis-matched earrings and unusual stones, to ear cuffs and stunning brooches, it didn’t disappoint. 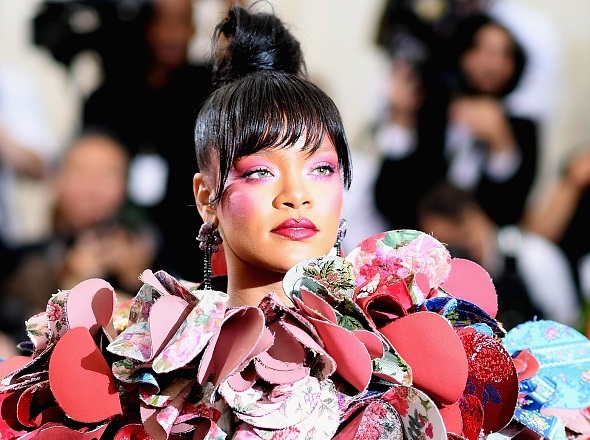 “In honor of the new Costume Institute exhibit, Rei Kawakubo/Comme des Garcons: Art of the In-Between, guests at the Met Gala were instructed to adhere to an “avant-garde” dress code. These Irene Neuwirth sapphire earrings worn by actress Sarah Paulson were beautiful! Keri Russell wore a cabochon ruby, diamond, 18-karat gold and platinum David Webb brooch that stood out on the red carpet. And finally, Rihanna certainly didn’t disappoint with her outfit, but her tourmaline, ruby, pastel pink sapphire and black diamond earrings set in 18k white gold were gorgeous!